Princeton: The Tigers are really rounding into form as the season comes to a close. Princeton is 8-2 in its last ten games after throttling the Big Red in Ithaca, 91-51, and out-executing a solid Columbia team in Manhattan in a 74-64 win. The Tigers jumped out to a shocking 25-0 lead on Cornell on Friday, effectively ending the game before the second media timeout. Princeton shot 64% from the field, including a perfect 8-8 FG performance from Will Barrett who finished with 21 points. TJ Bray also had 21 points to go with 8 rebounds and 5 assists. Fifteen Tigers got to see the floor in the mismatch. The next night at Levien, Princeton came out firing again. TJ Bray and Clay Wilson were unstoppable, using quickness and touch at the rim to score 41 of Princeton’s 74 points on the night. Bray, in particular, was borderline flawless, committing no turnovers in 38 minutes. The length of the tall Tigers caused problems for Columbia all night, leading to an uncharacteristic shooting night from downtown, with just 3-18 threes going down before three straight garbage time treys. With the win, Princeton can reach the 20-win plateau on Tuesday if it can handle floundering Penn at home. The Tigers will finish top half for the sixth straight year and will almost certainly have the opportunity to play into March in the CBI or CIT. Dartmouth: Behind senior Tyler Melville’s 23 points and Connor Boehm’s 22 points, Dartmouth dealt Brown a surprising defeat on Friday. The Bears tried to close the gap late, but the Big Green responded each time, escaping Providence with a 75-68 win. On Saturday, a deflated Yale tried to rebound from the Harvard loss on Senior Night, but Alex Mitola spoiled the party. The Dartmouth sophomore exploded for 29 points, his fourth straight game in double figures. In the game’s final five minutes, usually referred to as Sears Time when Yale is involved, the Green guard flipped the script–making these Mitola’s Minutes– and scored eight straight for Dartmouth, keeping the Bulldogs at bay and securing a third straight victory. Hats off to the Dartmouth coaching staff for keeping the Green focused after the devastating injury to Gabas Maldunas and the subsequent seven-game losing streak. Many people (myself included) wrote off Dartmouth after the loss at Cornell, but the team stuck with it and Mitola emerged as a dangerous scoring weapon. He averaged a scorching 26.3 ppg in his final three Ivy contests, leading the Green to avenge its loss in Ithaca, and sparking Dartmouth to a shocking end-of-season sweep at top-half Brown and Yale. 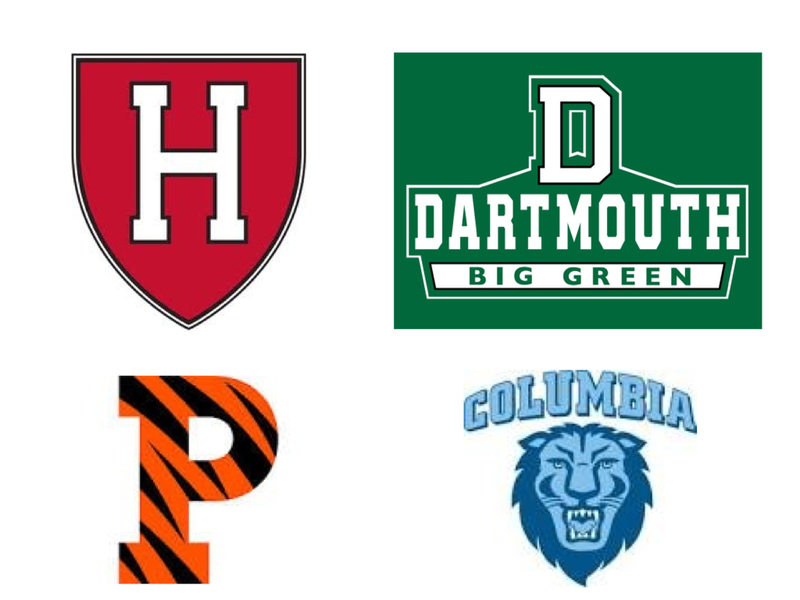 For the second straight year, it looks like the Green will probably finish T-6th at 5-9 in league play, but given the bad luck the squad endured with Maldunas going down, that’s quite an accomplishment in a banner year for the Ivy. Cormier returns loads of talent in 2014-15 with Maldunas, Mitola, Boehm, and John Golden all coming back to Hanover. It’s not unreasonable to think that a top half finish may be in play. Exciting times for the Dartmouth program. Columbia: A dominant victory on Friday against Penn earned the Lions that elusive Ivy winning record for the first time in 21 seasons. Another hard-working performance from Alex Rosenberg (22 pts on 5-9 FG, 9-10 FT) secured a top half finish for Columbia for the first time since 2009. The Lions held Penn to just 37% shooting and just 2-15 from deep, as Columbia used a 17-4 early second half run to leave the Quakers in the dust. The next night, Columbia couldn’t execute the defensive rotations necessary to contain a dynamic Princeton backcourt. The result was a disappointing defeat, but the Lions still have basketball to look forward to with an impending invitation to the CBI or CIT all but certain. No matter what happens, it’s been a record-breaking season for Kyle Smith’s Lions as the 19 wins are the program’s most since 1970. Given that Columbia was picked to finish last in the preseason poll, you have to be pretty happy if you’re a Lions fan.